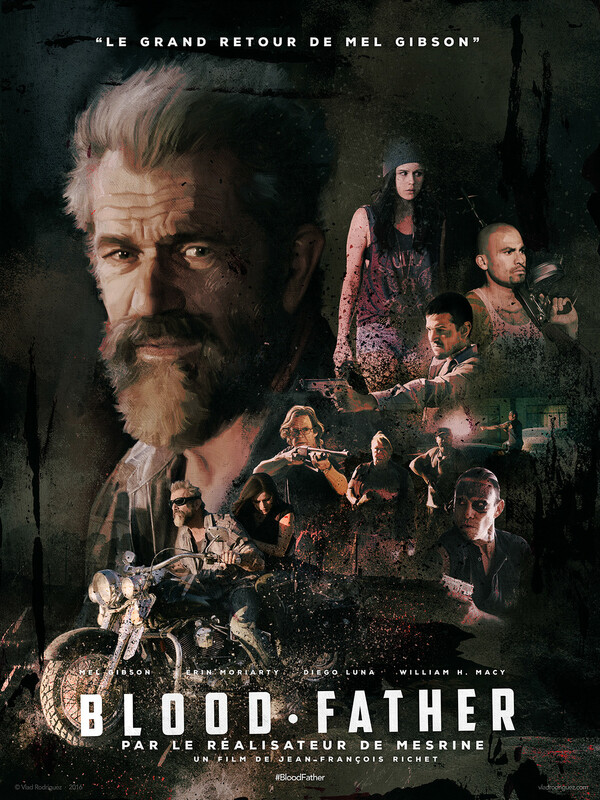 Blood Father is an English-language French action thriller film directed by Jean-François Richet, written by Peter Craig based on his novel of the same name, and starring Mel Gibson, Erin Moriarty, Diego Luna, Michael Parks and William H. Macy. 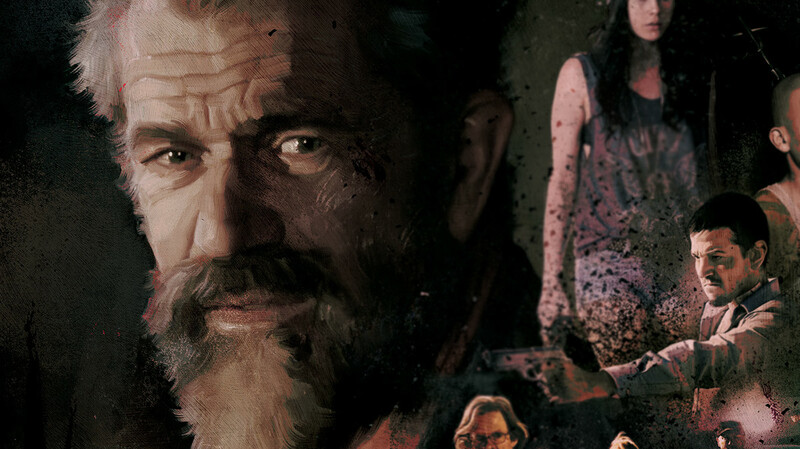 The film had its world premiere at the 2016 Cannes Film Festival on 21 May 2016. 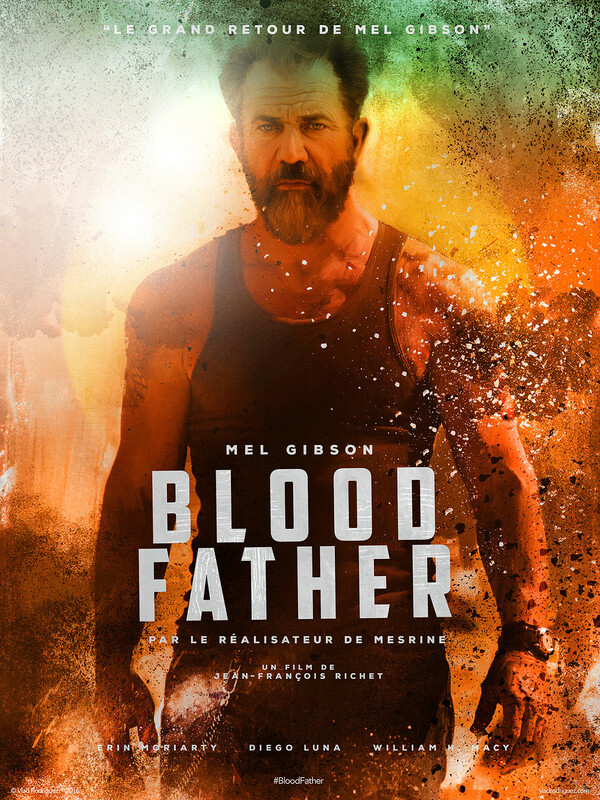 The film was released on 12 August 2016 by Lionsgate Premiere. 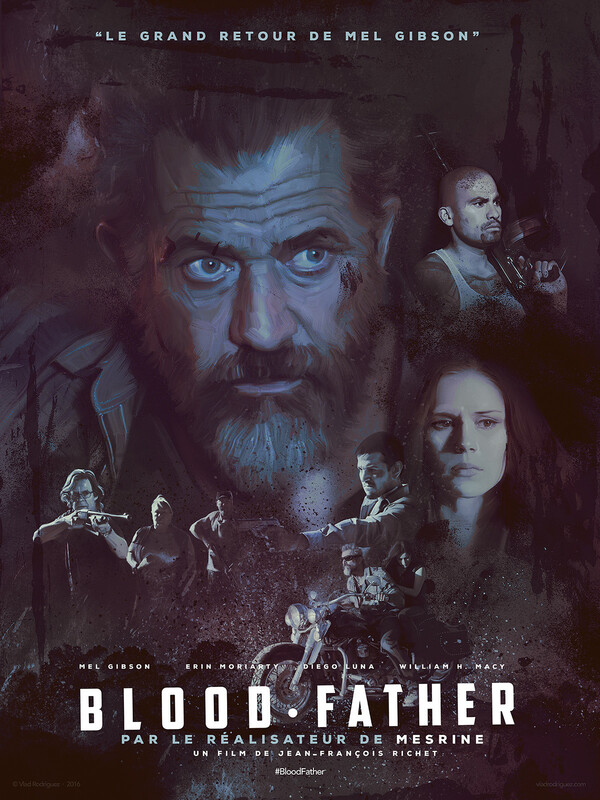 Official Teaser Poster for BLOOD FATHER. 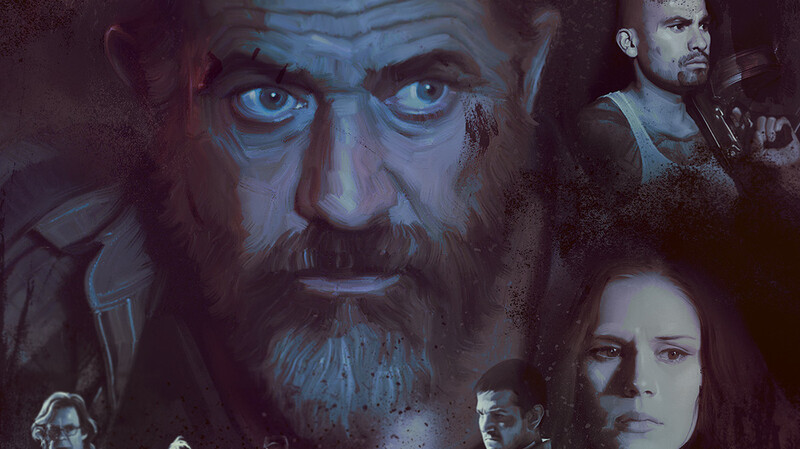 Artwork Design origination for Theatrical campaign of SND Films (France).